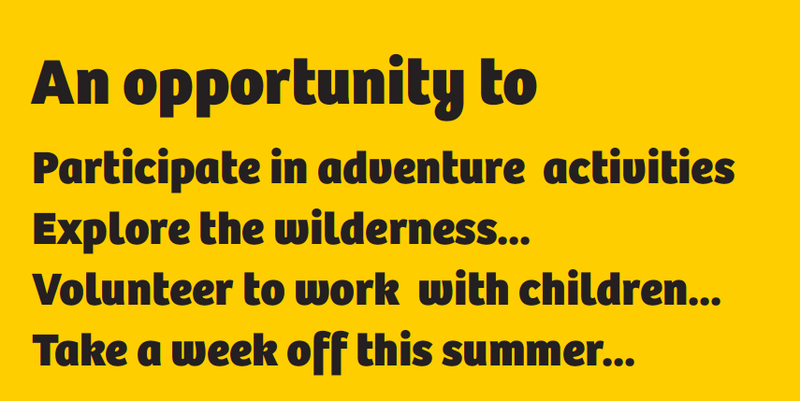 INME summer programs are weeklong adventure and wilderness based camps for 9-17 year olds. The programs are designed to help participants build self-confidence and self-worth and explore their potential... and of course have fun in a spectacular outdoor setting. The programmes are held at our campsites at Tons (near Purola in Uttarakhand), Uroli (near Ranikhet in Uttarakhand), Yercaud (near Salem in Tamil Nadu) and Honey Valley in Coorg (Karnataka). 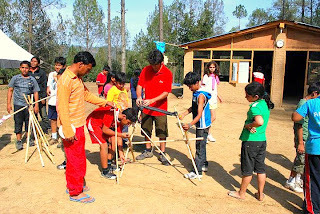 In addition, Team INME also has off-campus programmes that include an expedition to Kedarkantha, a kayaking, rafting & trekking trip down the Alaknanda and exploring Coorg and the Kumaon hills on bicycles. 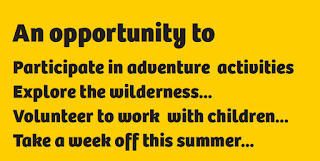 All INME programmes are conducted by outdoor activity experts, and every programme has a group 15 participants; looked after by three such experts and a volunteer. Gold Holder-Ankit Durga worked for INME in the Summer of 2010 and he summarises his experiences as 'BRILLIANT!'. Ankit- who is a keen hiker, mountain lover and adventure enthusiast added that being a part of the team that enables young people to discover the unknown, be excited about adventure and learn essential skills through the INME Camps, taught him to be a better manager, learn the best ways to approach young people and to also relive his Award journeys from school. Today, as a full-time employee of Zomato, Ankit looks back at this brief summer experience as a 'defining' one. INME are currently seeking volunteers who think they can contribute positively to the programmes and bring some skill (hobby or interest like music, photography, astronomy, dance...) to share with the group. Visit www.inme.in for more information on the programmes. Applications (with a resume) should reach Ankur at Ankur@inme.in by March 20, 2012.